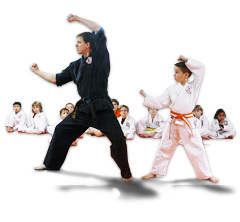 Our TAI Karate classes offer instruction in traditional martial arts combined with modern self defense. Classes include instruction in katas, weapons, striking, kicking, blocking, self defense, grappling, sparring, throwing, and joint manipulation. 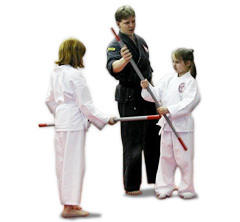 Our classes also offer something for every age group all the way from age 3 up to adult. Please click below to learn details on your specific age group. Our Children's class is geared toward the Pre-K, Kindergarten, and 1st grade aged students (ages 3-6 yrs). 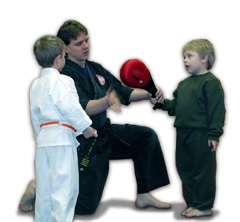 These classes involve exercise and introduction on the basic strikes, kicks, and blocks of karate. We supplement our classes with basic skills recommended by the local state government for proper physical development of children. Classes are on Mondays and Wednesdays from 5:30pm to 6:00pm (3-4yrs) and 6:00pm to 6:30pm (5-6yrs). Also on Saturdays from 10:00am to 10:30am. Here is some video footage of an actual Children's class working on learning a Ridgehand strike. Our Junior class is geared toward our students stepping up from our children's class, or new students aged 6-9 yrs. This class involves instruction in the same material we cover in our Adult class, only it is presented in a slower easier to understand manner. Students in this class will be gradually moved into the Advanced Junior & then Adult classes as they grow in age and maturity. Classes are on Tuesdays and Thursdays from 6:00pm to 7:00pm (6-9 yrs). 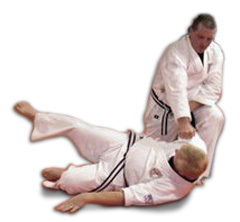 Here is some video footage of an actual class being introduced to a headlock escape. Our Advanced Junior class is geared toward our preteen and teenage students stepping up from our Junior Class, or new students aged 10-13yrs. This class involves instruction in the same material we cover in our Adult class, only it is presented in a slower easier to understand manner. Students in this class will be gradually moved into the Adult classes as they grow in age and maturity. Classes are on Tuesdays and Thursdays from 7:00pm to 8:00pm (10-13yrs). Here is some video footage of an actual class working on some sparring training. Our Adult classes are geared toward our teenage and adult students, these classes involve instruction in TAI Karate as well as other styles and type of martial arts. Students in this class are also encouraged to participate in our Cardio Kickboxing classes to gain two additional training and exercise classes each week. Classes are on Tuesdays and Thursdays from 7:45pm to 9:00pm (14 yrs and older). Here is some video footage of an actual self defense demonstration by our head instructor.